Website: DeviantArt, Twitter, Tumblr etc. Interests: Video Games, Source Filmmaker, Movies, etc. Archangel470 has contributed to 14 posts out of 468638 total posts (0.00%) in 627 days (.02 posts per day). I honestly haven't done a single thing. I want to see this come to life in some way, but I've no modding experience. I'm also lacking energy at this moment in time. Haven't really gotten far with the story yet, only with the locations and names of the protagonist/antagonist. Might have to watch some stuff to get some ideas. That being said, I'd like to try and get the biped done first, then test it in game. Just downloaded and checked out the maps we'll be playing. They're all decent and I think I'll defintely enjoy playing with you guys! HOWEVER..... I seem to be having a serious issue on the Star Wars map, where it crashes the whole game after about 30-45 seconds of playing. If I can't get this fixed, I may need to have a time out while you do that map. To show that I'm serious about this, unlike the many ideas I had in the past, I'm gonna try and make a biped for Ben. I have the model, but have no clue on how to rig it as a biped for Halo CE. I will strive to get this idea to fruition as much as I can. Campaigns like Takedown and Lumoria further drive my interest to see this get made. However, I currently lack the modding skills that some talented people here already have. Rest assured, I will see this done. Hello, everyone. I'm here to discuss about a potential idea for a Halo story. Since I don't own the Halo franchise, I can't make it as an official product. However, I'm confident that it might live as a modded campaign for Halo CE. I'll update this thread should I come up with new ideas for the project! Called 'Halo: Incursion', the campaign would be set in 2553, specifically 2-3 months after the events on the Ark in Halo 3. The Human-Covenant war may be over, but small bands of Covenant still exist, still hanging onto the belief that humanity's destruction is the will of their gods. The story would resolve around Ben-D279, a surviving Spartan-III from the Human-Covenant war. At the time of Incursion, Ben is stationed on the UNSC colony of Talitsa. Following a surprise attack by a group of Covenant led by a Jiralhanae named Vartueus, Ben is dispatched to track down and eliminate Vartueus, before he could start another conflict with Earth and her colonies. A surviving Spartan-III from the Human Covenant war, part of Delta Company. In October of 2552, Ben was sent along with a squad of Spartan IIIs to retrieve vital intel that was stolen by the Covenant. Although the intel was secured the squad was wiped out, with Ben returning as the only survivor. In a critical condition, his life was saved by going through procedures. After recovering, his original Spartan-III armor was too badly damaged to be used again. And so, Ben was upgraded to the MJOLNIR Mark VI armor that was utilised by the Master Chief in the final months of the war. 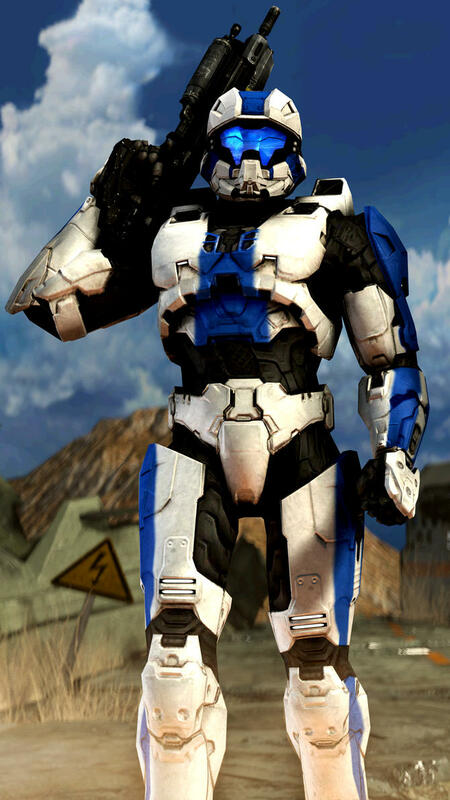 To help differentiate himself from the Spartan-IIs, he was given the standard helmet that would be provided to all recruits of the impending Spartan-IV program, as well as giving his armor a custom paint job. Ben considers himself to be one of 'the lucky ones'. While nowhere near as strong as the Chief, a Spartan-II, Ben has come back from every single one of his missions alive. Not much is known about this Jiralhanae, other than the fact that he hates humanity with a passion. He would love nothing more than to see the Covenant re-united and attempt hard retaliation at the UNSC for the deaths of the prophets Regret, Mercy and Truth. At the time, I currently have two locations in mind: Talista and Installation 02. Might add another location or two, but I don't know yet. This is an ambitious idea of mine that I would love to see come to fruition in one form or another. As such, any feedback would be appreciated. I currently have nothing to show yet, as I have no experience in modding, but if this does become a thing, I'll hope to get something out A.S.A.P. If you have any questions, fire them my way, too! Concept shot, I guess, made in Source Filmmaker by user BossVeteran. Interesting video. I'll have to check all these out A.S.A.P. I sadly missed out on the show, since I have had a major absence from Halo: CE. I'm gonna have to check Takedown out. Recently re-installed Halo CE due to the various mods that I'm now seeing for the first time. UPDATE: I've played through Introduction and Project Lawson. Absolutely amazing! Kinda makes me want to make a campaign with my Spartan. Looking forward to Extermination! A post about JM-Animation filetypes. With this game, once you've installed the HEK, you'll have a data\ and tags\ folder. When making a new asset to play with, use the data\ folder first. It should have some basic textures, and a sample level. Secondly, make sure your character is facing positive X in 3dsmax and its bones start with " Bip01_ "
A character's default animation is usually " stand unarmed idle.JMA "
--- This is intentional, because when TOOL compiles a new animation_graph, it uses pre-existing names, the default seat of a biped tag is called stand, the default base weapon pose is called unarmed, and the default animation that plays upon spawning your character into a world is called idle. Always make your idle pose first, then a head-turn graph, if you want the head to turn with the camera. BTW, the ( Before you ask how to edit/make maps - Read This ) topic has a lot of useful posts that go in-depth about texture, tag, and animation requirements. Have a look around. That's..... quite a lot for me to swallow at the minute. I'll try and wrap my head around it eventually once I get a better understanding on how rigging bipeds work. I can't post images yet, but here's what my Spartan looks like for those who are curious. Greetings, fellow Spartans (and Elites!)! I first discovered this site in 2008 (which is also when I first discovered Halo Custom Edition!). For the next 2-3 years, I had fun playing in various roleplaying and custom servers on various maps, ranging from Extinction and Coldsnap to Yoyorast Island and the RPG Beta series! However, my interest natually, slowly faded away. Recently, a user by the name of BossVeteran (You might know him or not!) talked about a few mods for Halo PC to help me with inspiration for my SFM work (I'm an amateur Source Filmmaker artist, too!). Having seen stuff like Takedown, Project Lumoria and SOI has convinced me to return to the Custom Edition space once more. I did express with him a desire to one day port my personal Spartan into the game to play around with. While I won't be begging anyone in particular to make a biped model, any help, tips and guides for me would be appreciated! It's been a long time since I played Custom Edition. Let's hope it's still as fun as I remember it to be, and hope this community is a great one! Time: Tue April 23, 2019 1:23 PM 375 ms.